Our product range includes a wide range of nano pigment yellow-1, nano pigment yellow-3, nano pigment yellow-13, nano pigment orange-5, nano pigment orange 13 and nano pigment yellow-12. 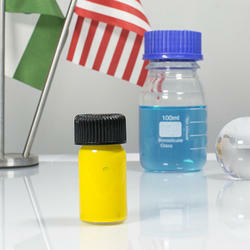 Nanoparticles Are Also Available in Passivated Ultra High Purity.Nanoparticles Used in Research Area of Strong Scientific Interest Due to The Variety of Application in Biomedical Electronic and Optical Fields Nano Pigment Yellow-1 Have Widely Used in Research Area Due to Their Increased Reactivity as Compared with Conventional Nano/Micron Sized Particles.We Are Offering Them in Different Shape & Sizes. The Costumer Value Products for Their Performance by Nanoshel. Nanoparticles Are Also Available in Passivated Ultra High Purity.Nanoparticles Used in Research Area of Strong Scientific Interest Due to The Variety of Application in Biomedical Electronic and Optical Fields Nano Pigment Yellow-3 Have Widely Used in Research Area Due to Their Increased Reactivity as Compared with Conventional Nano/Micron Sized Particles.We Are Offering Them in Different Shape & Sizes. The Costumer Value Products for Their Performance by Nanoshel. 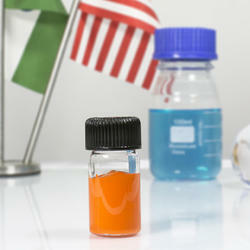 Nanoparticles Are Also Available in Passivated Ultra High Purity.Nanoparticles Used in Research Area of Strong Scientific Interest Due to The Variety of Application in Biomedical Electronic and Optical Fields Nano Pigment Orange-5 Have Widely Used in Research Area Due to Their Increased Reactivity as Compared with Conventional Nano/Micron Sized Particles.We Are Offering Them in Different Shape & Sizes. The Costumer Value Products for Their Performance by Nanoshel. Nanoparticles Are Also Available in Passivated Ultra High Purity.Nanoparticles Used in Research Area of Strong Scientific Interest Due to The Variety of Application in Biomedical Electronic and Optical Fields Nano Pigment Yellow-12 Have Widely Used in Research Area Due to Their Increased Reactivity as Compared with Conventional Nano/Micron Sized Particles.We Are Offering Them in Different Shape & Sizes. The Costumer Value Products for Their Performance by Nanoshel. 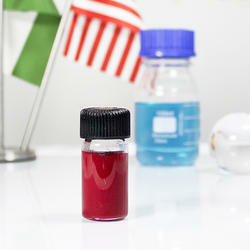 Nanoparticles Are Also Available in Passivated Ultra High Purity.Nanoparticles Used in Research Area of Strong Scientific Interest Due to The Variety of Application in Biomedical Electronic and Optical Fields Nano Pigment Red 2 Have Widely Used in Research Area Due to Their Increased Reactivity as Compared with Conventional Nano/Micron Sized Particles.We Are Offering Them in Different Shape & Sizes. The Costumer Value Products for Their Performance by Nanoshel. 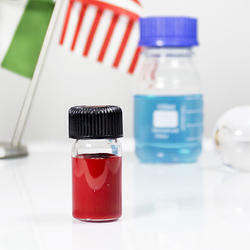 Nanoparticles Are Also Available in Passivated Ultra High Purity.Nanoparticles Used in Research Area of Strong Scientific Interest Due to The Variety of Application in Biomedical Electronic and Optical Fields Nano Pigment Red-8 Have Widely Used in Research Area Due to Their Increased Reactivity as Compared with Conventional Nano/Micron Sized Particles.We Are Offering Them in Different Shape & Sizes. The Costumer Value Products for Their Performance by Nanoshel. 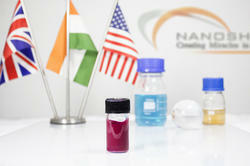 Nanoparticles Are Also Available in Passivated Ultra High Purity.Nanoparticles Used in Research Area of Strong Scientific Interest Due to The Variety of Application in Biomedical Electronic and Optical Fields Nano Pigment Red 12 Have Widely Used in Research Area Due to Their Increased Reactivity as Compared with Conventional Nano/Micron Sized Particles.We Are Offering Them in Different Shape & Sizes. The Costumer Value Products for Their Performance by Nanoshel. Nanoparticles Are Also Available in Passivated Ultra High Purity.Nanoparticles Used in Research Area of Strong Scientific Interest Due to The Variety of Application in Biomedical Electronic and Optical Fields Nano Pigment Red 48:2 Have Widely Used in Research Area Due to Their Increased Reactivity as Compared with Conventional Nano/Micron Sized Particles.We Are Offering Them in Different Shape & Sizes. The Costumer Value Products for Their Performance by Nanoshel. Nanoparticles Are Also Available in Passivated Ultra High Purity.Nanoparticles Used in Research Area of Strong Scientific Interest Due to The Variety of Application in Biomedical Electronic and Optical Fields Nano Pigment Red 53:1 Have Widely Used in Research Area Due to Their Increased Reactivity as Compared with Conventional Nano/Micron Sized Particles.We Are Offering Them in Different Shape & Sizes. The Costumer Value Products for Their Performance by Nanoshel. Nanoparticles Are Also Available in Passivated Ultra High Purity.Nanoparticles Used in Research Area of Strong Scientific Interest Due to The Variety of Application in Biomedical Electronic and Optical Fields Nano Pigment Red 57:1 Have Widely Used in Research Area Due to Their Increased Reactivity as Compared with Conventional Nano/Micron Sized Particles.We Are Offering Them in Different Shape & Sizes. The Costumer Value Products for Their Performance by Nanoshel.